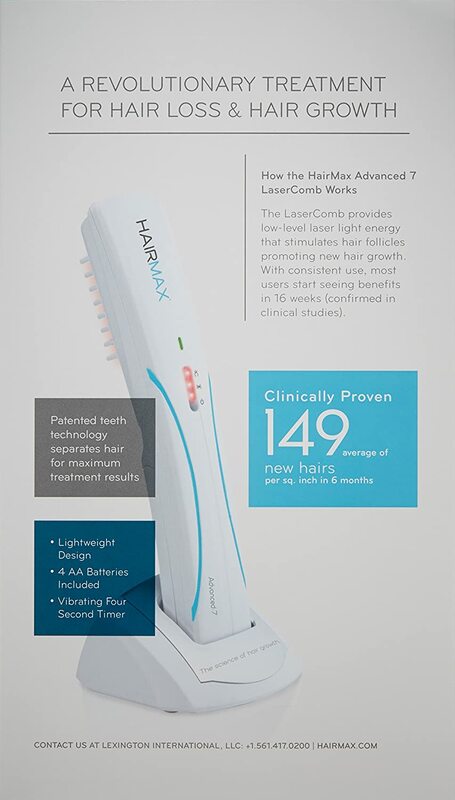 The HairMax Advanced 7 LaserComb is one of the new additions to the HairMax line of FDA cleared home-use laser therapy devices. The Advanced 7 device bathes the scalp with the nourishing energy of 7 individual laser beams. Powered by 4 AA alkaline batteries, the Advanced 7 is positioned as our entry level device. 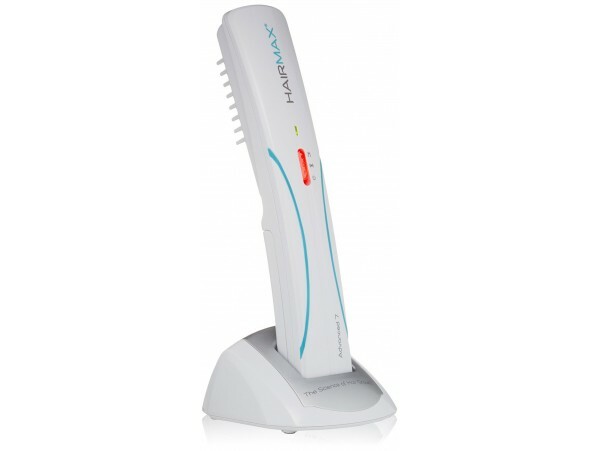 This way, even the budget conscious consumer can treat their hair loss with the HairMax LaserComb. 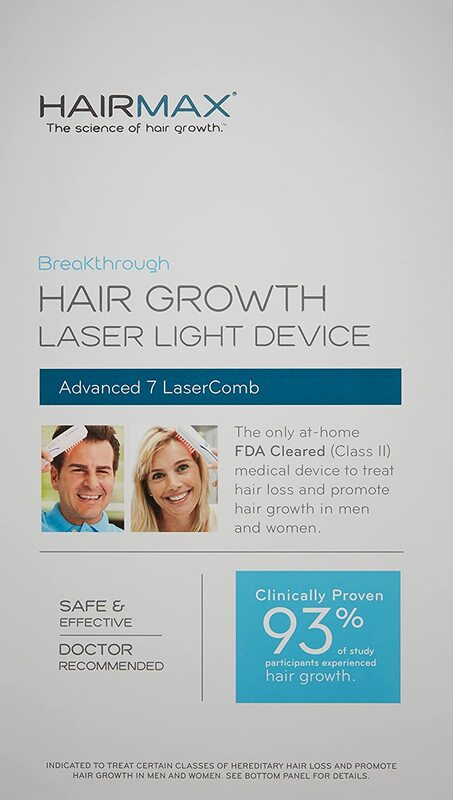 The Advanced 7 achieved FDA clearance to promote hair growth in April 2011. Included with the Advanced 7 is: (1) device, (2) docking stand, (3) soft shell travel case (4) batteries included (5) user manual. User experiences will vary, but results can be expected within the first 3-4 months with over 90% of our users seeing a benefit by month 5. The HairMax LaserComb uses the process of photo-biostimulation to infuse the hair follicle with the energy necessary to grow and maintain a thick and healthy hair. Based on our clinical studies, the average user experienced an increase of 23 hair cm2 - a 15% increase in hair density. The only at-home FDA cleared medical device to treat hair loss and promote hair growth in both men and women. Clinically proven to stimulate hair growth, reverse the thinning process, increase density and revitalize damaged hair. Delivers nourishing laser light energy that stimulates and enlivens hair follicles promoting new hair growth. Use HairMax Advanced 7 for 15 minutes per treatment, three days per week. Glide device over scalp slowly.